If you are owed a sum money by an individual or business and are having problems getting that money paid to you, the small claims court can offer you a legal option to claim the money you are owed. A small claim can be made up to the value of £3,000. It is important to remember that the courts will want to see documentary evidence that you have attempted to settle the dispute you have over an unpaid debt yourself. If you need help you can contact the National Mediation Helpline on 0845 603 0809 for via their website at: www.adrnow.org.uk. Also, before you begin a formal small claim through the legal system it's a good idea to read leaflet EX301: Making a Claim? Some questions to ask yourself. You can download this leaflet from the HMCS website: www.hmcourts-service.gov.uk/courtfinder/forms/ex301.pdf. This will give you an insight into the process you will have to go through to make your small claim. If you still want to proceed you can obtain the forms you need from your local County Court. Their office is usually open between 10am and 4pm. The forms are also available to download from the HMRC website. You can also consider using the online system Money Claim Online. To speed up the small claims process and to make it easier for the general public to access this service the Money Claim Online system was developed. This is an Internet based service where you can complete your claim and file this electronically online. You can then track the progress of your claim as it moves through the various stages of the judicial system towards a satisfactory conclusion for both parties. You can read more information about this service and begin your claim on the HMCS website: www.hmcourts-service.gov.uk. In the small claims process you are referred to as the claimant. The person you are in dispute with over the money they owe you is called the defendant. It's important to understand the distinction so you have the right forms and ensure that the correct numbers of copies are sent to their right destinations. Generally, you keep on copy of your claim form. One copy is submitted to the court, and one last copy is sent to each defendant you are claiming from as you could be making a claim from multiple defendants. The forms you have to fill in are divided into sections to make them easier to complete. Each section has supporting notes that you should read before completing your claim form. It's vitally important to ensure the information on your claim form is accurate. Remember that the staff at the court you obtained the small claim forms from cannot help you with advice when filling in your forms. If you need help consult your local Citizens Advice Bureau, or the Community Legal Service Direct on 0845 345 4345. The small claim form you complete must be sent or taken to your local County Court together with the court fee. There is a sliding scale of charges for fees based on the amount of money you are claiming. You can see the current range of fees on the HMRC website: www.hmcourts-service.gov.uk/infoabout/fees/county.htm. When you are completing your claim form you will be asked the amount of money you want to claim from the defendant. If you want to claim interest, the amount must be clearly stated in the 'particulars of claim' section of your form. You can see how to work out the interest on the amount you are owed in leaflet EX302 that is available to download from the HMRC website. HiI have just won my small claim case for money owed to me from my ex partner. The judgement however says that she has to pay £1 a month until the £980 is paid back. This is an 80 plus year repayment plan which seems outrageous. Essentially she will never pay it back as she is 35 years old. Is this normal?? Can I appeal this? You don't have an automatic right to appeal against a judge's decision, so you would have to ask the court (within 21 days) where the hearing took place for permission to make an appeal. You will only be allowed to make an appeal if the court thinks that you would have a real chance of success or where there is new evidence, or you can prove that there was something wrong with the way the court process was handled. In your case much depends upon your ex's ability to pay. If she has little or no ability, this will be why the judge came to this conclusion, therefore an appeal would do little to help further.I suggest you seek some legal advice. Please see CAB link here. Hi I have just won my small claim case for money owed to me from my ex partner. The judgement however says that she has to pay £1 a month until the £980 is paid back. This is an 80 plus year repayment plan which seems outrageous. Essentially she will never pay it back as she is 35 years old. Is this normal?? Can I appeal this? Hi, How do I add another claimant to a claim I issued on MCLO? My previous employer is seeking to recoup an alleged overpayment in my salary . I dispute this but have now received A Summons to appear at the Sherif Court . Can anyone tell me if the fact that I have been summonsed has an adverse effect on my credit history or is that dependant on a judgement against me ? Good evening. I lived with 2 friends in a house and they own money which I gave them for buying a phone, I have also a blu-ray player which is my property which they don't want to return, other money for paying bills.I want only to know which is the time limit for apply for a small claim online.I already sent nearly 5 months ago a letter to ask for my money and they just postpone everyday time.I await a response at your earliest convenience.I will be grateful for any help you can provide. hi, essex & suffolk water have damaged my property but will not accept liability, i am going to try small claims court, but does anyone have any other ideas they have closed my case. I was askedto help out another company at last minute (2230hrs) with 2 jobs, we agreed a price and I set off and delivered (0700hrs) on the promise money would be transferred into my account in the morning. now 6 weeks later I am still waiting for payment. All iam receiving are messages saying that the company owner is in hospital blah blah blah . and that the person I am speaking to is the owners sister who has no control over the monies. I have asked for payment to transferred either by bacs / cheque and even paypaland issued a dead line date. what else can I do , Small Claims perhaps ? the total amount is £960. not including interest or late payment fees. The main thing you need to prove is that this was a loan and not a gift, which you will be able to if you have previous records of her repaying the loan. Therefore, yes, you will have a case. Im considering to Sue an online seller and his company for refusing to refund me as they did not specify all the conditions of selling to me and made mepay extra moneys and still have not got my goods now they are telling me i need import license for personal things which they never mentioned when asked about conditions of buying. i think all they want is cash from me. I split with my ex partner last June and have since been left with a direct debit payment leaving my account every month for a loan he had with the company I work for. As he is Self employed, at the time I agreed that although all the paperwork is in his name the money could leave my account due to me having a guaranteed wage. Obviously it would have been embarrassing if the DD didn't get paid due to me working for the company. He now doesn't pay the monthly amount and I am stuck as my work aren't being very supportive of me stopping the direct debit. Is there any way I can recoup some of the money I have been paying out for him. He doesn't even pay his maintenance so this seem s so unfair I'm left paying this just so I am not embarrassed at work? i have recently split with my girlfriend and she claims she never recieved some moeny back that i had lent her. she can prove the transfer into my account but i have a transaction of removing the cash at an atm when i gave it back. where do i stand as i am now being taken to small claims court? My son was playing tag at break time in a school car park. He ran out from behind a parked car and was hit by a student driving into the school. Thankfully he wasn't injured but the car was damaged. The headmaster told the parents of the driver of the car to get it fixed and they (the school) would reimburse them for any cost. They admitted our son's liability without involving us. The head then sent us a letter saying the school insurance wouldn't cover the claim and expecting us to pay. We refused replying that they had a duty of care and have also prejudiced our son's position by admitting liability.We then received a letter from the parents of the driver telling us to pay for the damage or they would take us to court. We did not respond to this letter at the time and were rather shocked that they now had our address, my husband works away from home during the week so I felt rather vulnerable. We have now received a claim via the county court online service. We wish to defend ourselves as we do not feel it is our responsibility to pay for accidental damage especially as it happened when our son was in the care of the school. We also now know the school gave out our address without informing us and to further complicate matters in three weeks time we will be living in France. Therefore are we right in defending this claim and if so can we have the case moved to France for our convenience and if not will our expenses be paid if we have to come back to this country to defend the claim? @chris - do you know the home address of the MD? If they are not responding to anyof your communication, you could get a solicitor's letter drawn up and send it via recorded delivery so you have proof that it was received. 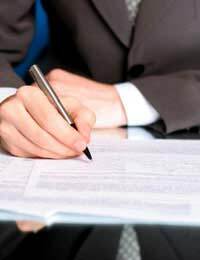 Over the past year, I have made several substantial loans to a fairly new Company in the West End of London and its Managing Director .Some of the loans are covered by a loan agreement. Inter alia, my Agreement stipulates that repayment of my loan takes precedence over any other loa and also that it must be repaid if the lease of the premises is surrendered. The business has been badly managed and the MD has decided not to communicate for the past 7 weeks. She asked that I communicate via her Lawyer. It has also been impossible to persuade the Lawyer even to acknowledge my letters and e-mails.pointing out that my loan agreement terms probably needed updating and enquiring whether the lease has been surrendered (which I believe may be the case).Since neither the MD of the Company, nor her Lawyer are communicating at all, can you suggest some other way of getting back in touch? @Bella. There is an agreement between the two of you and he has not kept his side of the agreement. You have evidence in the texts stating that he will pay/setup a standing order etc. Bear in mind that you might have to pay some of the court costs if you try and take it through the courts. Maybe just a solicitor's will spur him into action?